Ambitious comedy endings are hard. But You’re the Worst made it look easy. 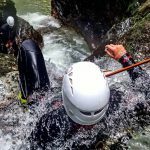 Every week, we pick a new episode of the week. It could be good. It could be bad. It will always be interesting. You can read the archives here. 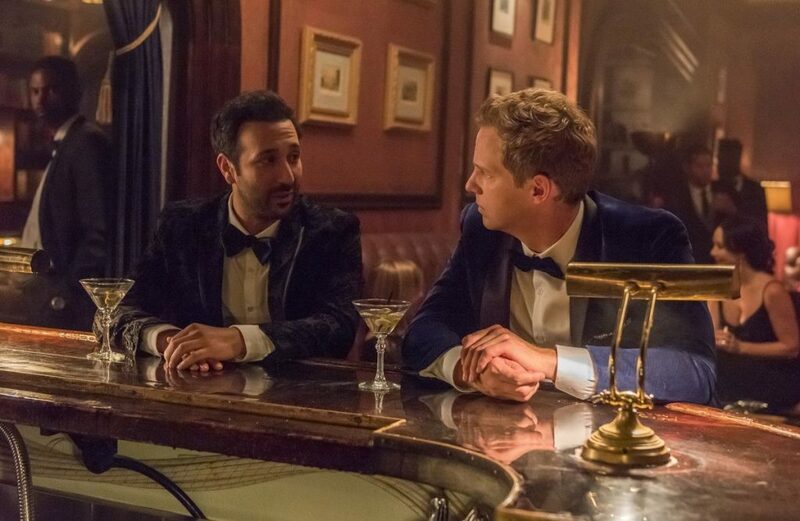 The episode of the week for March 31 through April 6 is “Pancakes,” the series finale of FXX’s You’re the Worst. The romantic comedy is always trying to run out the clock, at least on some level. The lovers meet and fall for each other. They kiss. They fall apart. Maybe they find their way back to each other by the end. It’s a time-worn, time-honored formula, one that gets harder to tweak and twist with every new spin on it that appears. And most rom-coms are movies or novels. They are finite, and unspool within a very compressed timeframe. They don’t have to deal with ramifications and consequences, with what happens after, with the idea that the story doesn’t just stop. That’s why the TV rom-com has a much spottier history. TV shows, after all, can run for years and years. It’s so easy to stretch out a will-they/won’t-they so far that it snaps, or to have nothing left to say once the lovers are together. Many a TV show has been felled by having no idea how to tell a love story over many seasons. What FXX’s You’re the Worst, which ended its five-season run on Wednesday, April 3, figured out was that the TV rom-com works best if you put the couple hooking up first. When the rest of the story becomes aftermath to consummation, well, that’s space for TV to play with. Over the course of You’re the Worst’s five seasons, its two main lovers, Jimmy (Chris Geere) and Gretchen (Aya Cash), darted into and weaved throughout each other’s lives, never quite sure what kept drawing them back together or why the trappings of a conventional relationship — something both of them believed they didn’t want — seemed more palatable with each other than with anyone else. But the show’s series finale still had to resolve the question that all rom-coms have to answer, of whether the two belonged together forever. It had to do the thing all rom-coms do where the lovers either kiss and ride off into the sunset, or have one last, bittersweet meeting where they realize that while they’ve gained so much from knowing each other, they aren’t meant to be. And in “Pancakes” — You’re the Worst’s final installment, and one of the best episodes of this terrific little series — the show somehow found a way to do both. The real breakup in the final season turns out to be between former best friends Edgar and Jimmy. The smartest thing the finale does is find a way to have a happy ending, while also acknowledging the tough realities of any long-lasting relationship. Jimmy and Gretchen don’t break up, but they also don’t get married. They choose, instead, to recommit to each other each and every day, believing that to be a better signifier of their love than a ceremony. This outcome is very in line with You’re the Worst’s ethos of finding something beautiful in the midst of everything about life that’s hard to take. Indeed, the show’s writers essentially didn’t consider splitting up Jimmy and Gretchen at all. Still, Falk and his team had to find a way to create some tension as the season approached its endpoint. To do this, they cribbed from Breaking Bad, of all things. As Jimmy and Gretchen planned their wedding, episodes would cut forward to some future that seemed much more grim, where the two were split up and seeing each other for the first time in years at some event, just as Breaking Bad’s last season flashed forward to Walter White’s final stand. Surely You’re the Worst wouldn’t end with its central couple hating each other? Yet even as I watched those flash-forwards, I had a sneaking suspicion that in the end, they wouldn’t be as devastating as they seemed. I had been on set during the production of “Pancakes.” The scene I saw being filmed was, indeed, a devastating one, where both Jimmy and Gretchen admitted they weren’t sure they could fulfill the promise inherent in any wedding vows — to love one person forever — and seemed on the verge of calling the whole thing off. But I’d also been told that the venue where the episode was shot wasn’t just a fancy house up in the Los Angeles hills. It was where Falk’s own wedding had taken place. If he was going to break these two up forever, he probably wouldn’t do it there. Adding further fuel to my theory: Actor Chris Geere told me that if you look closely throughout the final episode, you’ll see family members of the show’s cast and crew scattered throughout the wedding scenes, including Falk’s own wife and kids. (A song Geere’s wife performed is part of the episode’s soundtrack.) The idea was to give the finale a bit of a “family album” feel, Geere said. I was right to suspect a breakup wasn’t imminent. In the end, the flash-forwards throughout You’re the Worst’s final season turned out not to be teasing Jimmy and Gretchen’s breakup, but their ongoing project in effectively being married without ever actually getting married. They have a daughter together, and the big breakup the series was hinting at was actually between Jimmy and his best friend, Edgar (Desmin Borges), a man he’d long treated terribly and taken advantage of. The fight the two had in You’re the Worst’s penultimate episode is revealed in the finale as what shattered the series’ core friend group. Thus, it’s actually Edgar, not Jimmy, who Gretchen hasn’t seen in ages, and their fight is the reason for Jimmy’s trepidation about attending the wedding in the flash-forwards (which turns out to be the second for supporting player Lindsey and her two-times-a-husband Paul). It’s a beautiful acknowledgement of the power of lifelong commitment that also nods to these characters’ particular aversion to doing things in more conventional fashion, to say nothing of You’re the Worst’s constant attempts to at once invert and subvert rom-com tropes. 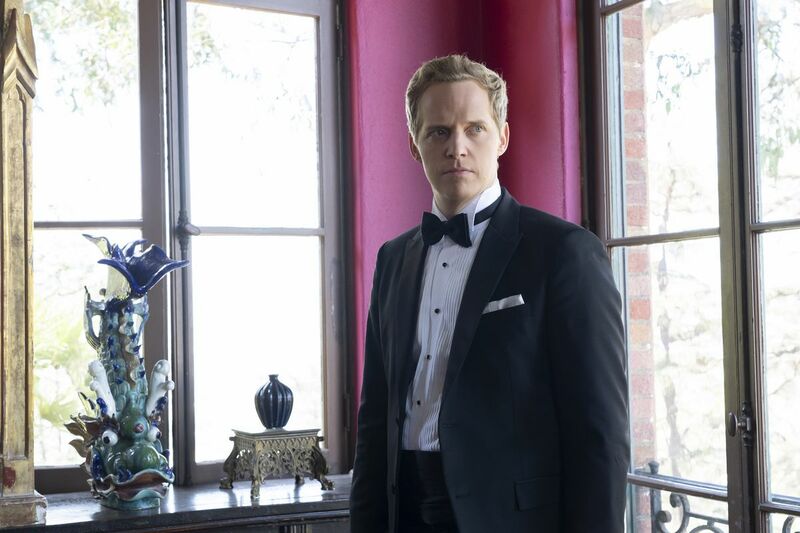 Here is a photo of Chris Geere looking handsome in a tuxedo. I’ve always found it a bit curious that American TV viewers seem willing to embrace ambitious endings when it comes to drama series, while finding them off-putting when it comes to comedy. Whether we’re disgruntled about the Seinfeld gang being made to answer for their dubious crimes or upset about how How I Met Your Mother ultimately met the mother, we really want our sitcoms to end with an indication that all will be well and everyone will be okay. Once again, You’re the Worst figured out how to split the difference. It’s hard to say that “Pancakes” — which leaps across time, after all — isn’t ambitious. But it also leaps across time in service of telling a story about how a group of friends comes back together. It’s ambitious, but in the service of a story that is sneakily romantic at heart. “Sneakily romantic at heart” just might be the best way to describe You’re the Worst in general, too. As Cash puts it, it’s a show about how to negotiate your own happiness within couplehood, whether that means building rules that make sense for just you and your partner, or flouting societal convention altogether. There’s no guarantee, of course, that Jimmy and Gretchen will be happy forever. But there’s no guarantee that any couple will be happy forever. The final scene of “Pancakes” — which takes place on the night of the wedding that Jimmy and Gretchen call off in favor of their “choose to love each other every day” gambit — nods to this, in the form of a moment where Gretchen admits that her depression might lead to her someday ending her life. Jimmy sits with that for a moment before darkly cracking that he’ll just get on with his, but it’s clear that in that instant, both of them choose each other again, as they have over and over. “That space in between [those two lines] shows the achievement that both of them have made in that relationship, which is a level of understanding that I don’t think either of them appreciated as much before,” Geere says. The night that I was on set during the filming of the finale was the next-to-last day of shooting on the entire series — Cash would be back the next day for a handful of rudimentary shots of Gretchen opening medicine cabinets and other tiny bits — and the actors were appropriately gutted about their final night of filming. Borges and Donohue had already left when I arrive, so it was just Geere and Cash, dressed in gorgeous wedding finery and looking out over the twinkling lights of Los Angeles, as Jimmy and Gretchen admitted to each other that they don’t know if they can love each other forever, because forever is such a big word. Watching them work together, long before seeing a single frame of the final season, I was struck with melancholy not for the couple — because I was pretty sure they’d be okay — but for You’re the Worst itself, which encountered road bumps along the way but always, always found its way back to the right path, thanks to the two people at its center. “The central thesis of our show is we’re going to present to you the romantic comedy form untouched, but we’re going to highlight the clichés of the genre, not in a way that is satire but in a way that is merely showing the stark differences between the fantasy rom-com of the ‘80s through 2000s and reality, how people really engage in relationships and date,” Falk says. And “Pancakes” finds a way to consider that question anew. What does it mean to love someone? What does it mean to promise yourself to them? What does “forever” even mean, really? Maybe its willingness to engage with those questions is what allowed You’re the Worst to so ably navigate the “ambitious sitcom finale” conundrum. The show understood that life really does have an epic sweep to it — it unfolds across decades, after all! But if you find the right partner, the right friends, it has an intense, unflinching intimacy. Life is big, and life is small, and “Pancakes” succeeds because it figures out how to be both. The first four seasons of You’re the Worst are available on Hulu, while the fifth is available on FX’s streaming platforms. You should really watch the dang thing.